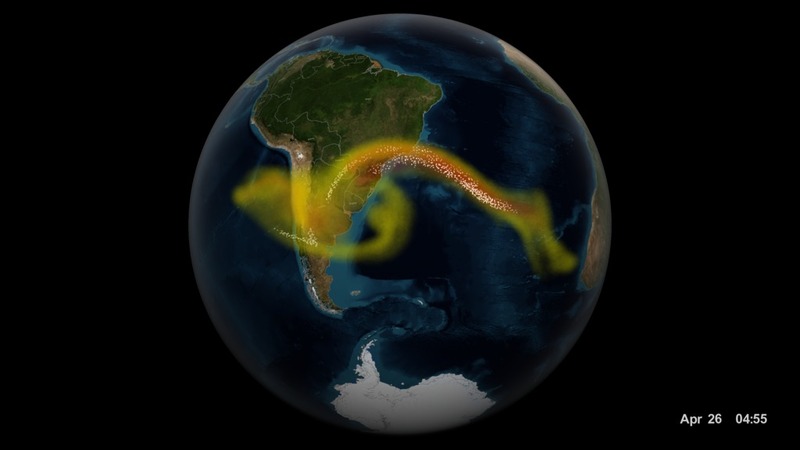 Visualization of results from a supercomputer model of ash and sulfur dioxide spreading from an eruption of the Calbuco volcano in April 2015. 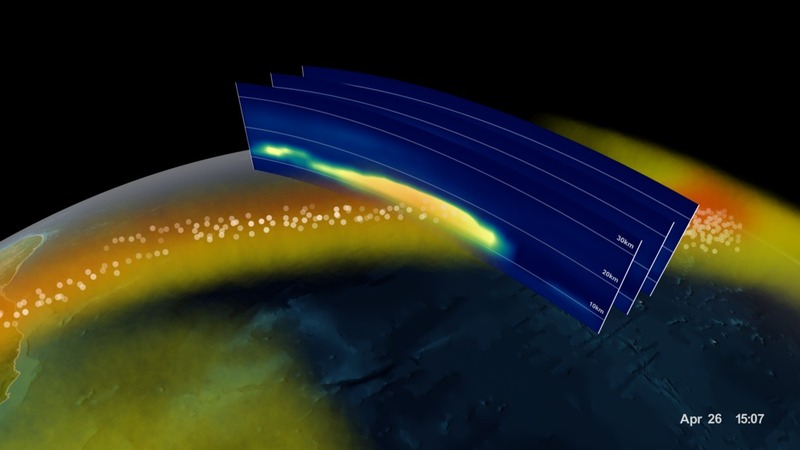 The supercomputer combines the physics and chemistry of the atmosphere with data from the NASA/NOAA/DoD Suomi NPP satellite to model the full three-dimensional structure of the volcanic cloud. Model data is compared to observation data collected from the NPP satellite. Data was processed in IDL, modeled in Maya, and rendered using Renderman.